When it comes to running, dressing in an appropriate tight is an important factor that can make you run more at a faster speed. Many professional runners wear running tights because it not only looks fancy but is also proven to help you with your running. If you are considering treating yourself by adding running apparel to your wardrobe, then this article can provide you with ample information that can come in handy when deciding what to buy. Material – In order to run comfortably, you need fabric to have specific characteristics such as lightweight, stretchable, and moisture wicking properties. 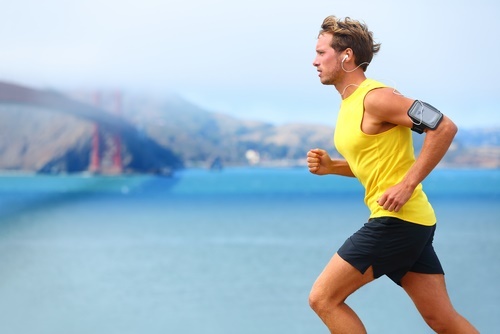 When you are running the most important factor among these is to have flexible and lightweight attire. The reason for this importance is that wearing tights that are light and multi-directional stretch fabric can make you run better. 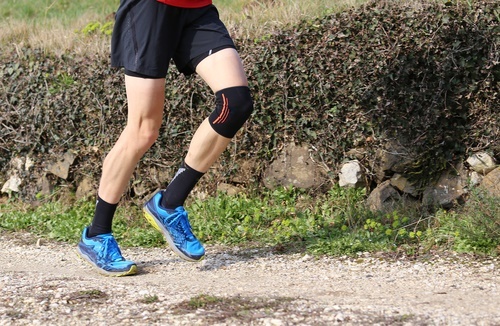 Compression strength – Compression garments have been claimed to enhance runners’ performance and recovery by improving blood circulation and providing muscle support. Since this is not an essential feature for a running tight, not all tights are designed to provide graduated compression. However, you will notice that many trending tights are in reality compression tights. Fit/size – Having a tight with a perfect fit is a must. The tights that are large will not have a perfect grip while tights that are too small can be uncomfortable to wear. Compression tights that are designed to provide an optimal level of pressure to your muscles hence their size is different than other running tights. 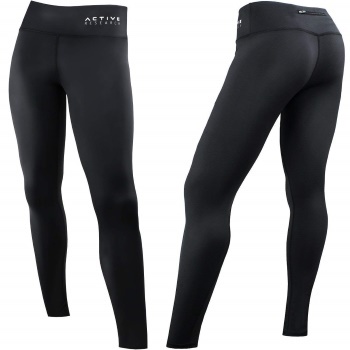 In case of compression tights, the fit will be slightly tighter yet comfortable. Antibacterial Anti-odor treatment – Some advanced tights are given this treatment. These treatments can prohibit the growth of bacteria and can prevent your tights from having a smell of dirt and sweat. Mesh panels – This feature is not common in many tights. Mostly, the high-quality premium brands add mesh panels behind the knees to allow for ventilation and maintain your body temperature while running. Pockets – We all love to have big pockets but many of the tights manufactured lack this feature to avoid you from emptying your purse content in your pocket and increase the weight of your tights. However, some items do have a small key pocket and some even come with side pockets that can hold your phone. With all these brands available in the market you might be struggling as to which brand to pick. As to help you with your decision we have listed a few popular options that are trending in the market. This women’s running tight is up made from a synthetic blend that is stretchable, flexible, lightweight, and comfortable. The material may be on the thinner side for some people. These tights come in varying lengths i.e. shorts, Capri and full-length. The waist has an elastic that provides a no-slip grip. The special feature of these tights is that the side pockets can hold your phone. These tights are designed for all kinds of physical activities especially running. The reasonable price and a wide range of design variation make this a stylish running tight that is suitable for summers. This women’s running tight is a budget-friendly and high-performance tight. It is made up of high-quality fabric that has multi-directional stretch for flexibility, comfort, and perfect fit. This advanced material has moisture management properties to prevent irritation, wetness, and chafing. The fabric has also been through antibacterial treatment. These high-waist tights have a snug fit and a no-slip grip. There are five different options to choose from. These tights are designed with an intent to provide compression. Hence, it is recommended especially for relieving muscle related pain and for improving running performance. Nevertheless, if you do not want compression you might have to buy a slightly large size. 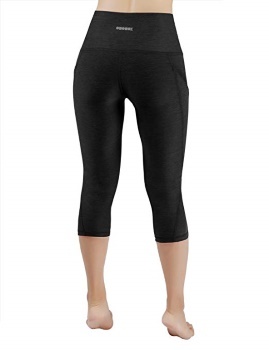 These women’s running tights are manufactured with a lightweight blend of Nylon and Spandex. This unique blend of fabric is highly breathable and has a moisture wicking technology. The fabric used also has multi-directional stretch and is very elastic. This is a Capri style tight with a wide waistband. However, it lacks some premium features like pockets, a reflective logo, and compression strength. If you want to add tights to your wardrobe that is high-quality yet affordable, then you should go for this option. These women’s running tights is manufactured with a lightweight synthetic material. The fabric is highly breathable, very comfortable and flexible. It also remains moisture free while exercising. These tights have a high waist and ankle length. This tight comes with two side pockets and a small zipped back pocket. The attractive feature of is the colors offered that are super cute. However, few women had a complaint about some colors being see through. Neonysweets has designed these tights specifically for stretching. Hence, with the two big side pockets and a multi-directional stretchable material, these are an ideal purchase for running. These women’s running tight is by a well-known brand that delivers a high level of comfort, flexibility, and breathability. The Dry fit fabric used is the key to keep moisture away. 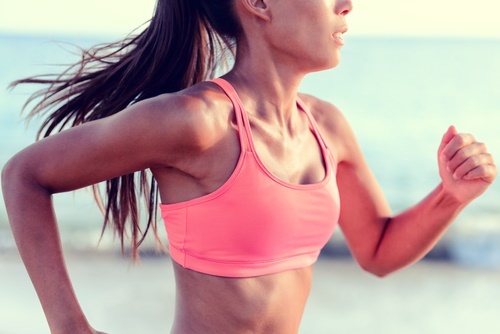 The material is also very lightweight and perfect for running but some find it too thin. These tights are advertised as full-length tights but some find the length too short. The unique feature is the mesh panels behind the calf. Nevertheless, the tight lacks pockets and is only available in two colors. 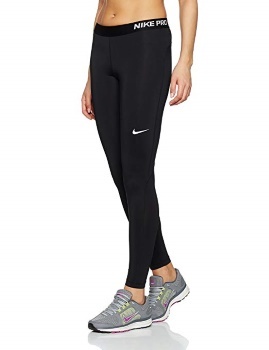 These women’s running tights are manufactured with a lightweight blend of Coolmax and Lyrca. This unique blend of fabric is highly breathable and has a moisture wicking technology. The fabric used also has multi-directional stretch. These full-length tights have a flat-lock seam construction that makes it very comfortable to wear. The additional features are a reflective logo on the leg, double-reinforced waistband, and a small key pocket. However, it lacks a pocket for keeping your phone. Women’s Pro running tight also has CW-X’s patented support web design. This unique design mimics Kinesiology taping technology and provides additional muscle support for calf, hamstring, quadriceps, and hip. Hence, this running tight is highly suitable if you want to wear a compression running gear. 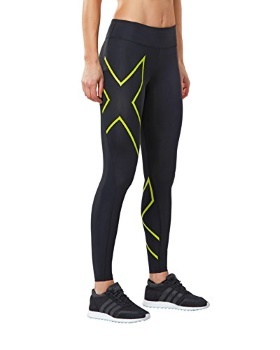 These women’s running tights are another variation of tight by CW-X. These tights are similar to the Pro Running tight mentioned above. Hence, it is flexible, breathable, comfortable and has moisture management technology. Like the Pro running tights, it also has flat seam construction, a reflective logo, double reinforced waistband and a small back key pocket. With the patented support web design these tights provide targeted support to core and knees. Hence, may be recommended especially for runners looking for a compression garment for knees. This women’s running tight is made up of synthetic material. The unique blend of material has a high level of comfort, flexibility, and breathability. The material is also great for wicking sweat. These high waist tights come in both Capri and full-length style. Hence, if you want pockets but are not a fan of full length then you can select the Capri style. With so many color variations these affordable tights by ODODOS tight can be an excellent addition to your wardrobe. Thes women’s running tights are made from special PWX fabric that is a blend of Nylon and Elastane. Thus, the fabric is highly comfortable, stretchable, lightweight, and breathable. Its moisture-wicking properties, anti-odor technology, and ability to give UV ray protection makes this tight perfect for summers. This ankle length tight has a mid rise flat waistband that gives a perfect fit for most. 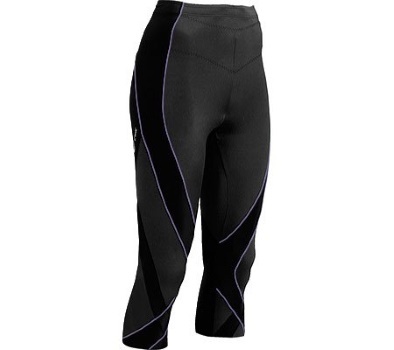 Its flat-lock seam ensures additional comfort and protection from chafing. The body color is mainly black but with variations in color of stripes. Some options even have a reflective logo. In comparison with some other brands, this might be a slightly expensive option but has excellent graduated compression and high-quality fabric that can be used to prevent future injuries and help previous injuries. These women’s running tights are made from a material that has extraordinary comfort, breathability, and stretch. The fabric is also moisture-free and anti-odor. Overall, the material can be worn during summers. As these are intended to provide compression if you buy according to size chart they feel tight. However, you may buy a large size for regular fit. These compression tights are recommended for improving blood circulation and supporting muscles. If you need relief from pain because of a muscle sprain, hip problem, meniscus tear, tendinitis, arthritis and shin splints then this is a very cost-effective choice for you. Every brand has different styles and designs to offer. While buying you need to focus more on functionality than on appearance. As you will be mostly using these tights for running, the most important things to consider are flexibility, breathability, overall weight and moisture-wicking properties of the material you are buying. We have summarized some trending brands that you can check. Some are simple and affordable while others are more advanced and premium. If we have missed out anything make sure to add your personal preferences by adding a comment below.